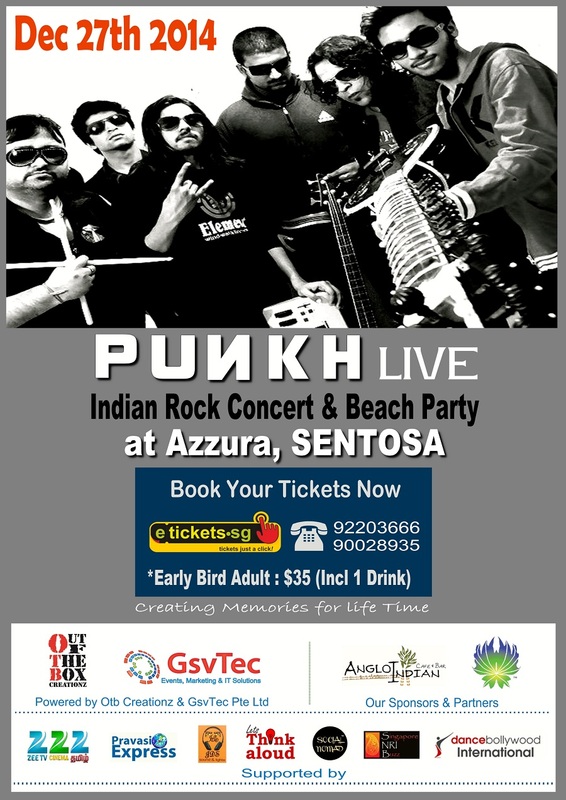 is a first of it’s kind event in Town where India’s Leading Rock Band, Punkh will perform Live by the Beach, at Azzura, Sentosa! Along with many of their own Earthy Rock Numbers from their albums, the band also plays evergreen Bollywood Rock songs with a difference. Known as the True Party Rockers, the band members are known for their high octane performance and energy. Understanding Punkh’s point of origin requires the clock to be rewound to the Nineties when the core of the Delhi five some went under the moniker Krossbreedz. From there it morphed into an avatar called Arth and finally Truecolors before settling into an International rock configuration called Guru. This crash course in musical history is important in the context of understanding Punkh’s latest clutch of original tunes, Karmah. A distillation of the varied musical experiences that Deepak ‘Dean’ Nair, the frontman of Punkh has soaked up during his time in the various outfits under advisement, Karmah combines heavy duty riff rock from the nu-metal era with distinct Indian elements and soaring vocals heavily reminiscent of the Eighties when all rock singers seemed hell-bent on punching holes in the stratosphere with their voice. 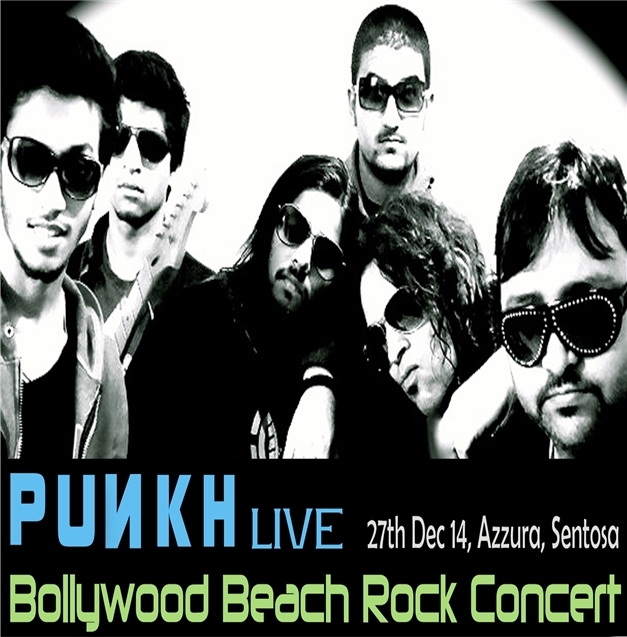 Unlike the initial line-up which toured through Germany and Singapore and was behind the self-titled debut album with EMI Virgin Music in 2007, Punkh now comprises of some of the best Rock-Metal musicians from the scene. The overall sound is polished without sacrificing the primal edge that forms the cornerstone of all rock ‘n’ roll setting the tone for the band’s new musical statement. – Organiser can change the event date, venue. – Organisers are not responsible for any kind of direct or indirect claims on account of the event .As a event participant you undertake any such risk of any unforeseen incident that may happen during the event. You are responsible for your family and yourself. – Right of entry reserved by organisers.